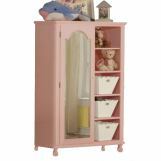 The Floresville Bedroom Set in Pink by Acme Furniture will help you create a bright and airy look in the youth bedroom in your home! 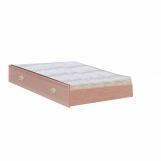 Starting with estate bed with large white floral motif found both headboard and footboard, the whimsical Floresville Girls Collection reflects all thing floral. 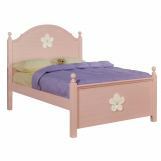 Bed features gorgeous pink finish with white daisy carving on the headboard and footboard, while beautiful round finial and shaped headboard creates a "girly" look. 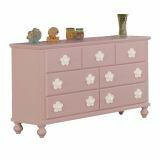 Complemented by the scalloped top found throughout, the case goods also reflect the floral motifs with the decorative white floral knobs. 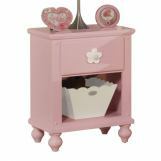 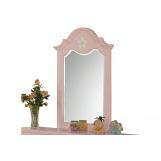 Each piece is crafted with fine attention to details for a charming look and displays a simple yet transitional design to enhance the aesthetic appeal of your child's settings with the finish of course is in a playful pink.